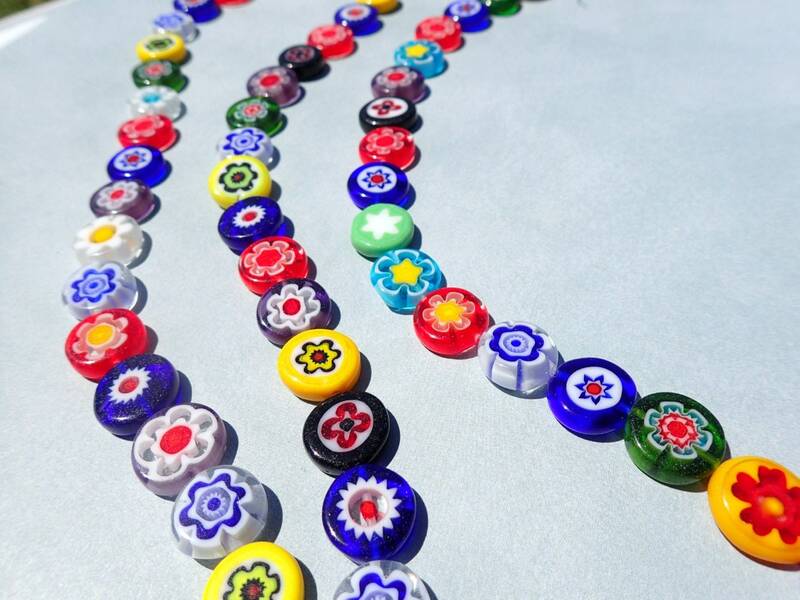 These are millefiori glass beads in assorted colors in a flat round shape. 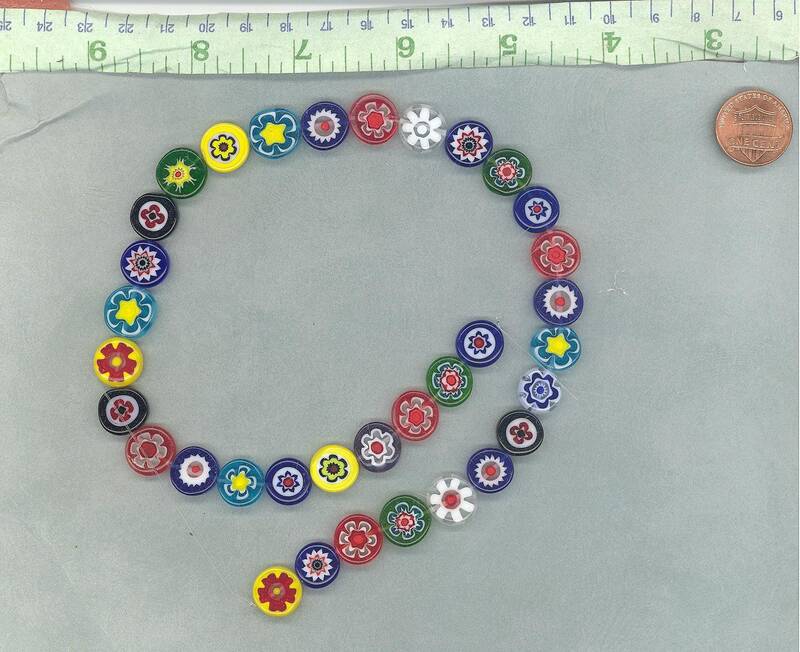 The designs are mostly flowers. 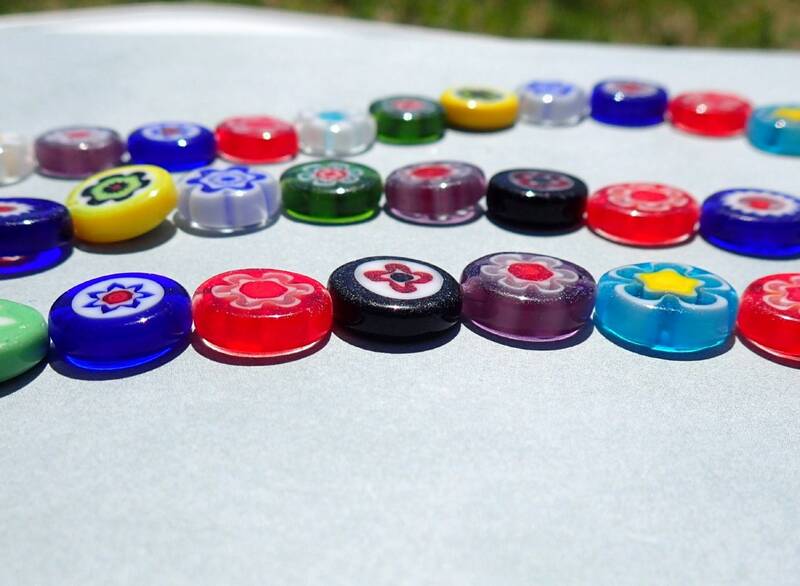 These beads are 12mm wide and 4mm high. The hole is approximately 1mm. 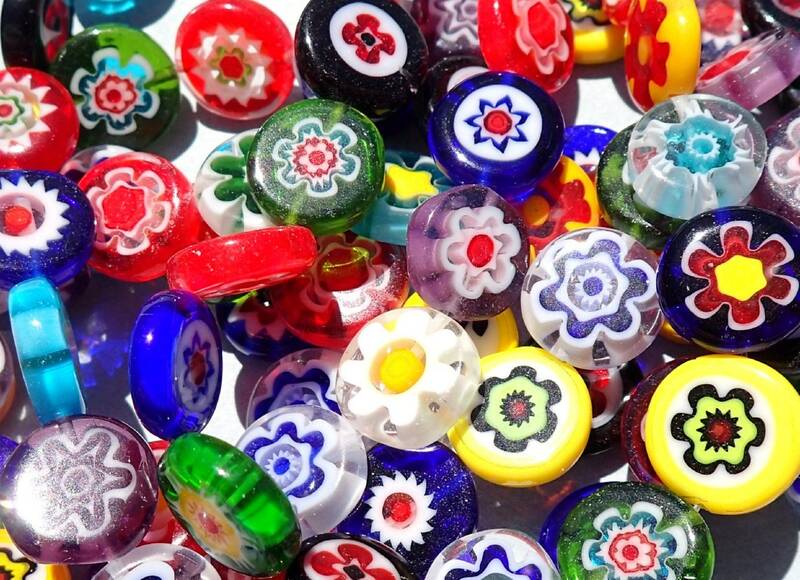 Along with making beautiful jewelry, these beads also make unique mosaic tiles. The glass is a mix of opaque and translucent. 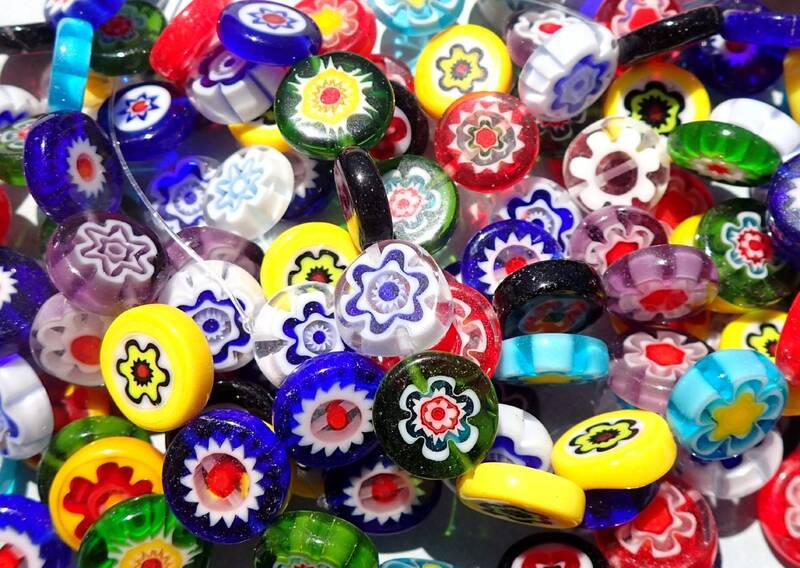 This is for one strand of beads, which is approximately 30-33 beads in assorted colors.